It’s been a while since I have had a chance to update the News section (I am on maternity leave, with all the joys and tribulations that this encompasses!) so some most of the announcements here are a few months/weeks old, but still worth reporting. First of all, a new volume of Salem Press’s Critical Insights series appeared late last year, focusing on The Fantastic. 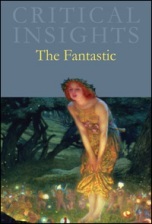 The volume looks at the broader category of ‘the fantastic’, rather than strictly fantasy. I contributed a chapter on ‘Tolkien and the Fantasy Tradition’, and this is – to my knowledge – the only book to discuss Tolkien alongside Borges, Kundera, Calvino, Poe, and Hoffmann, among others. In the months preceding the release of the first Hobbit film, The Tolkienist ran a series of posts entitled 75 reasons why you should read the Hobbit before watching the films. A number of well-known Tolkien scholars contributed their response to this prompt. My contribution focused on the nature and place of The Hobbit in Tolkien’s legendarium, and on the style and tone of this celebrated children’s book. 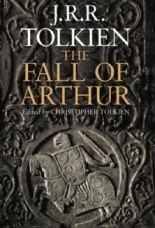 Last, but definitely not least, I have enjoyed reading Tolkien’s eagerly-awaited The Fall of Arthur during the last couple of weeks. Tolkien scholars and enthusiasts have known about the existence of this unfinished alliterative poem since Humphrey Carpenter’s Biography of J.R.R. Tolkien (published in 1977). Tolkien’s fascination with the Arthurian legend is apparent from numerous references and creatively re-used motifs in his extended legendarium, but this is the first time scholars and fans have been able to appreciate Tolkien’s retelling of the Arthurian story itself. Christopher Tolkien’s commentary reveals fascinating drafts, in which Tolkien was clearly planning to link this poem to his extended legendarium. In my 2006 Tolkien Studies article (see under Publications), I argued that the 14th-century alliterative Morte Arthure was a better source-candidate for Tolkien’s Arthurian poem than Malory’s Morte d’Arthur (as suggested by H. Carpenter). So, you can imagine my delight after reading Christopher Tolkien’s commentary, confirming my earlier hypothesis!